Interview with accredited programs – What are they doing? What impact has COSMA accreditation had on their program? 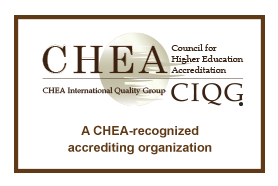 Reaffirmation of Accreditation – What to expect? What changes have occurred within seven years? Sport Management Case Study Repository - Contains information on nearly 1100 resources for using the case study method to teach sport management concepts. Use the keyword search feature or the menu to allow for the specification of sources, industry segments, content areas, global contexts, and years. New to teaching? Are you an adjunct or new faculty member, transitioning from sport industry or a doctoral student with new teaching responsibilities? COSMA offers FREE training for members: (contact Heather Alderman to join or gain access). Annual training rotates between different conferences where sport management faculty go. Attendance at past conferences include NASSM, SETV, SRLA, SMA, APMA, NASSS, SEAC. Special topics: Let COSMA know what you want to focus on!